A large bushy evergreen shrub with rough bark and dark green leathery leaves. Rosy-pink urn-shaped flowers in panicles as the red, strawberry-like fruits, from the previous years flowers, ripen. Native to South West Ireland and sometimes also known as The Killarney tree this tree does need to have a sheltered position in the garden and preferably a sunny one for its fruits to ripen. 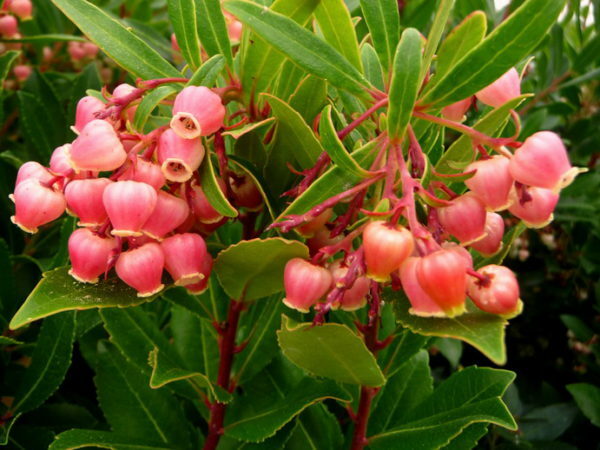 Tags: Arbutus, killarney tree, rubra, strawberry tree, unedo.